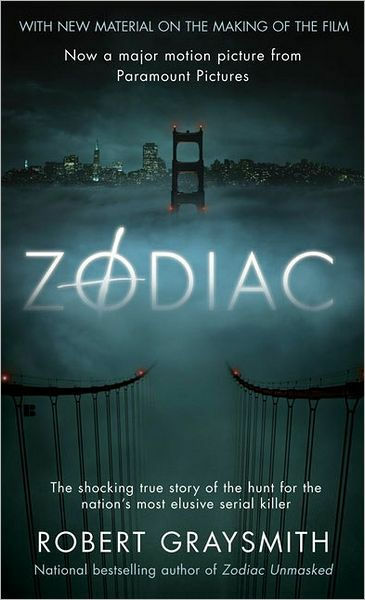 Graysmith translates his journalistic obsession with single-handedly solving the Zodiac mystery to the page with flamboyant zeal. He set the template for Dateline, 20/20 and ID shows by fusing an incredible amount of detail into a torpedo-driven narrative. He gets in trouble by getting lost in the woods sometimes, focusing on minutiae such as which streets victims took, and adding throwaway flourishes such as conversation snippets that he surely made up. 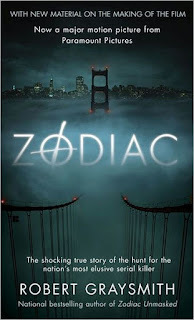 And then there is the ridiculous chapter where he tries to correlate every killing to a different lunar phase in a bizarre attempt to guess at the next Zodiac murder, which thankfully would never come. Graysmith is most triumphant at translating his enthusiasm for the case to the reader. His skill at digging up facts that the Bay Area's law enforcement agencies lost track of or failed to share with one another to craft a cohesive portrait is mesmerizing. It's even more impressive that he doesn't hedge his bets under a guise of journalistic neutrality. He makes a case for proving the guilt of the most likely suspect, while also accepting the possibility that he could be wrong, and posing a possible alternative suspect. You come away from the book feeling like you knew all that Graysmith discovered and informed enough to form a hypothesis of your own.